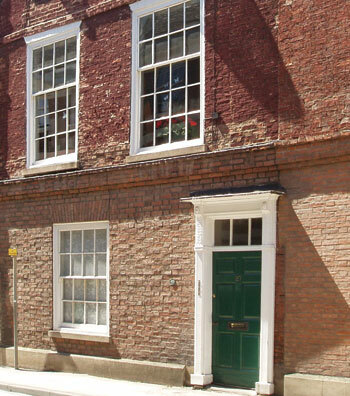 This is a narrow, three storey building and is dated on a rainwater head 1763. 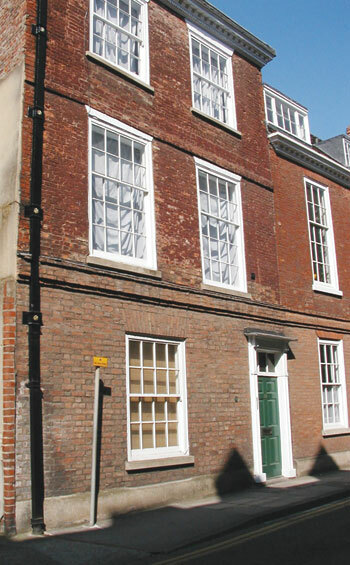 On the front, the ground floor has been completely rebuilt in modern brick-work and the windows above were enlarged in the nineteenth century. On the second floor is a brick plat-band and on the eaves timber block cornice with dentiles. The back part is roofed at right angles to the front to give a gabled appearance and the interior has been modernised in a conversion of flats.